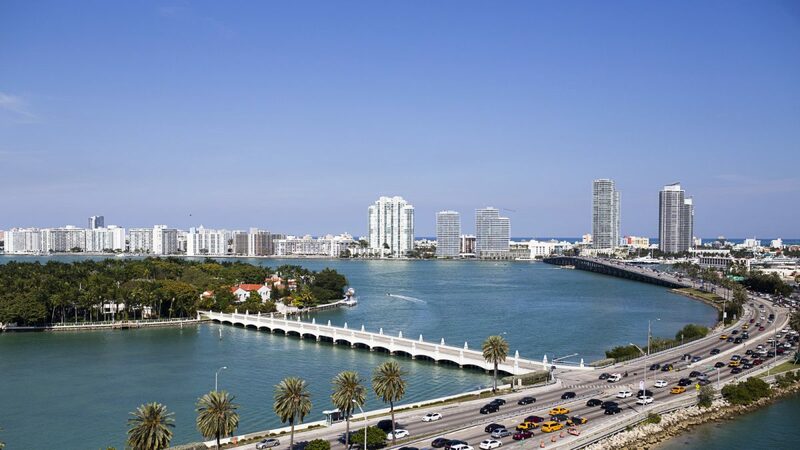 Miami is a paradise for vacationers and their pets, offering the best weather and a host of pet-friendly destinations including award-winning hotels, one-of-a-kind entertainment venues, fabulous restaurants and retailers. MIAMI BEACH, Fla., March 30, 2018 /LuxuryJourneyReview/ — Tropical beach vacations for pet owners frequently come with the letdown and hassle of having to leave those four-legged friends at home, but not for those visiting Miami Beach. Home to the best weather and a host of award-winning hotels, one-of-a-kind entertainment, fabulous restaurants and retailers, the city is a paradise for vacationers and their pets. Miami Beach is a paradise for vacationers and their pets, offering the best weather and a host of pet-friendly destinations including award-winning hotels, one-of-a-kind entertainment venues, fabulous restaurants and retailers. Traveling with pets is on the rise across the country. According to the American Pet Product Association (APPA), 67 percent of dog owners say their dog relieves stress.1 In addition, 47 percent of Americans own a dog, and 37 percent own a cat. Research conducted by TripAdvisor found that 53 percent of respondents travel with their pets and 52 percent stated they would only stay at pet-friendly properties. At the W Hotel, pets are greeted with custom-designed amenities as part of the hotel’s Pets Are Welcome (PAW) Program. Amenities include pet toys, pet treats, a W Hotel pet tag, W Hotel pet bed, food and water bowl, clean-up bags, a ‘pet in room’ door sign and details about the W Hotel’s Whatever/Whenever pet services. The W charges a $25 fee to host a pet and a non-refundable $100 cleaning fee. Loews Hotel ensures that pets will be waited on hand and paw as Very Important Pets (VIPS) while on a relaxing vacation. Exclusively part of the Loews Loves Pets Program, gourmet room service menus for cats and dogs, dog walking routes and pet-sitting services are offered to make sure every four-legged friend feels comfortable in their home away from home. The Loews charges a flat rate of $50 per stay to host a pet. This beachside haven hotel offers a variety of options to make sure all pups are pampered. Guests can experience a couple’s massage like no other at The Betsy’s outdoor spa; where pets enjoy healthy nibbles and an aromatherapy massage alongside their owners. The Betsy charges a $150 per dog fee and donates the funds to a satellite charity in Zimbabwe at the SPCA. One of Miami Beach’s top shopping hubs, Lincoln Road Mall has a vast number of stores and restaurants that accommodate pets. Visitors can sit outside and enjoy a nice lunch at Sushi Samba or Spris while their puppy friends enjoy a bowl of refreshing water. Note that dogs must be kept on their leashes at all times while strolling through this busy city center. Discover the culture of Miami Beach and its history of Art Deco architecture in the company of your furry best friend. This Art Deco Tour allows guests to bring pets, and although not all buildings allow for pets to enter, Christine & Company provides a pet companion for $30 per pet with water, a water bowl and waste bags. Pet reservations must be made at least two weeks in advance. Right in the heart of Miami Springs, Flamingo Bark Park, an off-leash dog park, allows all four-legged friends to roam free in two doggy play areas. Dogs can play in either the run areas for smaller breeds or larger breeds; with access to drinking stations and biodegradable baggie stations. At the Washington Park and Community Garden, Monday to Sunday, sunrise to sunset, the Washington Park and Community Garden offers a vast area for dogs to unleash, play and socialize. Drinking fountains with doggie water spigots are available along with two double-gated dog runs. For more information on ways to enjoy the perfect pet getaway in Miami Beach, download the Miami Beach Information App at www.miamibeachapi.com/app/.